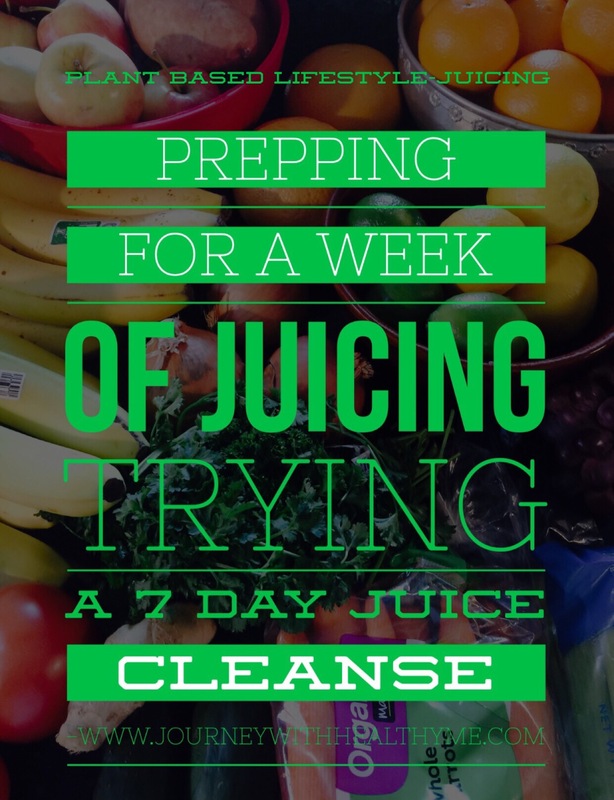 Since I began a plant based lifestyle 9 1/2 months ago, I’ve been interested in experiencing a juice cleanse. Inspired by Jonny Juicer on Instagram, I’ve followed his journey and saved some of his recipes, eager to take my own healing journey to a new level. With spring well underway, and an international trip about a month away, this feels like the right time to initiate a seven day juice cleanse. 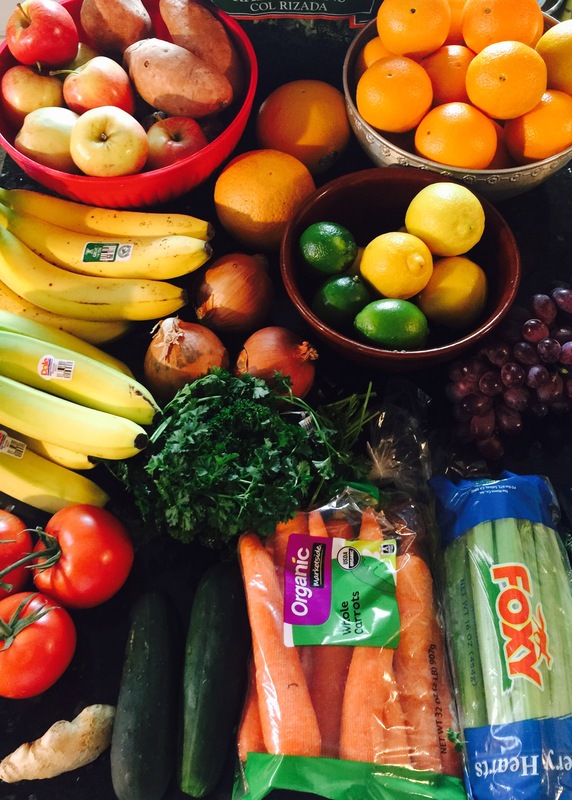 I stocked up this afternoon on fresh fruits and veggies and cleared out the fridge, symbolizing a fresh, clean start. 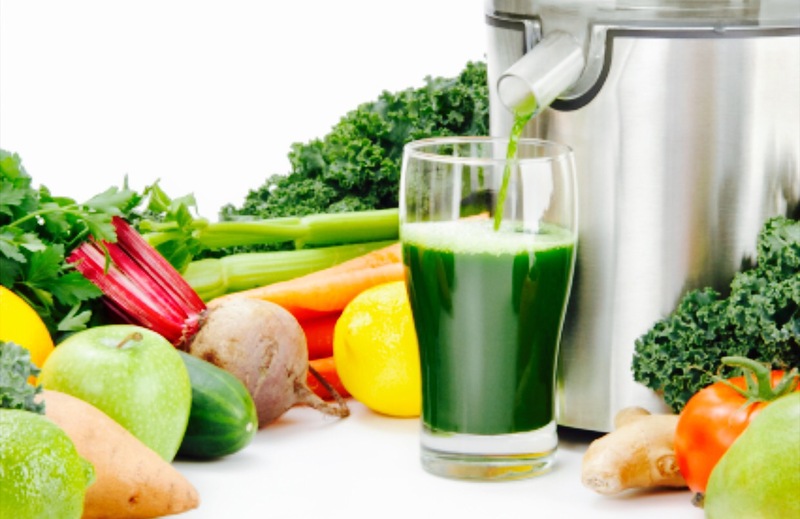 There are many benefits to juicing for a short time, or even extended period of time. 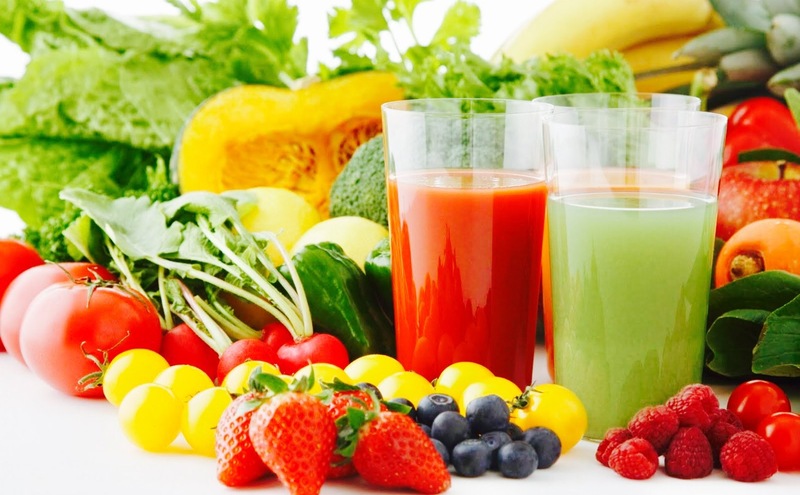 And for me, I might add, this will be a creative way to experience something new and have fun trying out different veggie and fruit combinations as I create a variety of juices. Part of today’s purchases. I have more veggies in the fridge. Being plant based for a while, I am already familiar with juicing. Celery juice has been an important part of my health regime. My plan is to start the day with a cup of warm lemon water, followed by 16 ounces of fresh celery juice with a spoonful of barley grass juice powder added. Breakfast will continue to be a fruit smoothie, with hemp and chia seeds added. During the rest of the day…lunch, dinner and at least two “snack” times…I’ll drink juices freshly prepared from my stash of veggies and fruits. I’ll finish the day with a cup of hot herbal tea. And I will take my daily supplements as well. I’m excited about the week ahead. My body has been healing so beautifully and juicing feels like a vital next step. How do I know this is right for me? My body is letting me know. I am craving juice. I’ll be sharing my experiences and a recipe each day, via this blog. And I will post a follow up next Sunday to give an honest opinion on juicing, including benefits and any challenges I encountered along the way. Here’s to good health and vibrancy and a tall glass of juice!